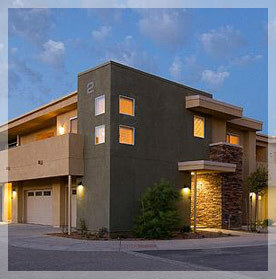 Venture REI dedicated to helping you find the best multifamily investment property that meets your goals. Our licensed brokers can assist you with all aspects of your Apartment building search. Let our professional staff enable your investment from the initial search, through the offer/negotiations, through the feasibility period/due diligence, and through the closing date. Whether you are buying a small 2 unit duplex or a large 250+ unit apartment complex let our professional Buyer Representation experience serve you. Our brokers have extensive experience and often firsthand experience with buying apartment buildings as buyers ourselves. Our team has the experience of hundreds of transactions; get the representation you deserve for the purchase of your investment. Why hire a Broker that does not know the first thing about pro forma, cap rates, cash flow, or real property management, when you can hire a team that lives and breathes multifamily buildings for sale? Instead of one agent trying to wear all the hats, we have staff to service your needs, from real estate research/property identification, due diligence, and all the way through contract to closing. Sign-up for our free, automatic emails of the latest apartment buildings for sale that are on and off of the MLS. Some of the best properties are never advertised to the public. Also, learn about our exclusive listings and get a sneak peak at the best properties coming on the market. Get the best representation, the most selection, and best due diligence tools for your multifamily investment search. Whether you are buying or selling contact us for a free consultation regarding your multifamily investment needs, click here to contact us.